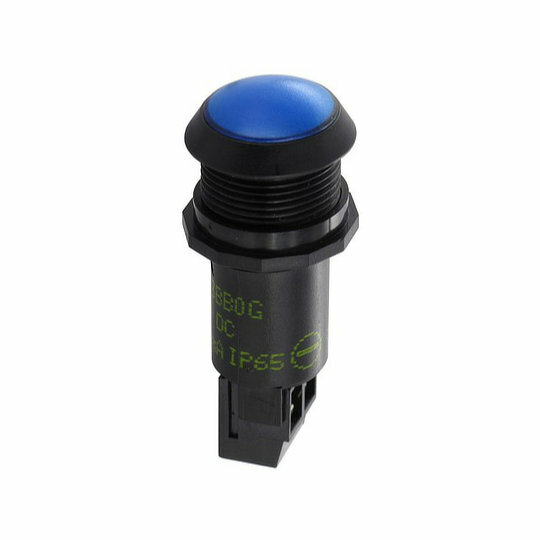 The 943 series of plastic LED indicators from Sloan are front-mounted panel indicators with threaded housing that is designed for panel cut outs of 16mm. Available with a raised dome style hood and a choice of LEDs in the following colours and brightnesses…. The 943 series are electrically rated to 20mA at 12VAC/DC, 24VAC/DC or 230VAC with screw style terminations and rated to IP65. Constructed from black ABS the 943 series is RoHS compliant with an operating temperature of -25°C to +60°C.